Want to talk us now call (904) 234-6935 or fill out a free quote request form below. Don't Replace, Refinish! 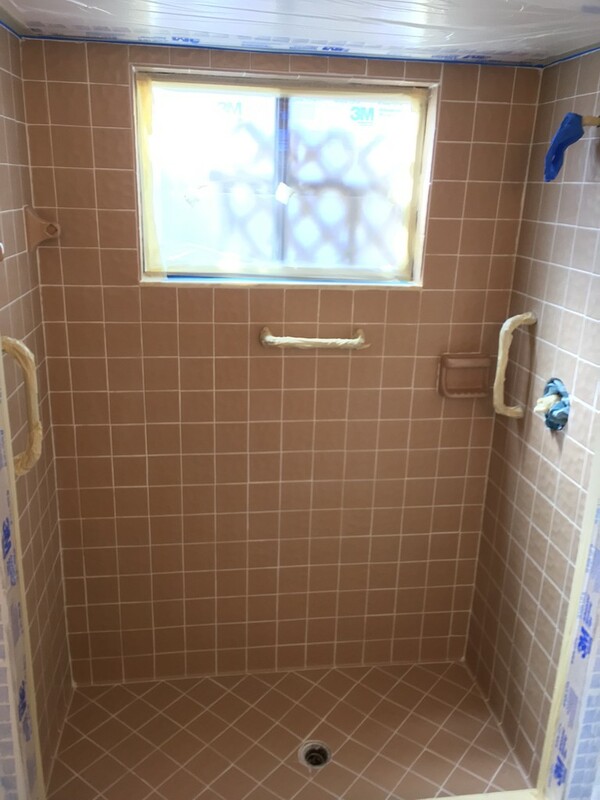 In just a few hours we can refinish your bathroom and kitchen tiles to match your decor. No ripping out old tiles. We offer a wide range of colors including basic black and white as well as an array of pastels and eye-popping colors guaranteed to make visitors take notice. We also offer a variety of faux-stone, environmentally-friendly finishes to transform your tiles and make your home the show-place you've always wanted it to be. Ceramic tiles are first cleaned thoroughly, then acid etched for adhesion purposes. We fill any grout lines that need it. If the tiles need to be completely re-grouted there is an additional fee. Then we masked off the entire area and begin the spraying process. Three coats of special primer and six coats of topcoat are applied which completes the process. 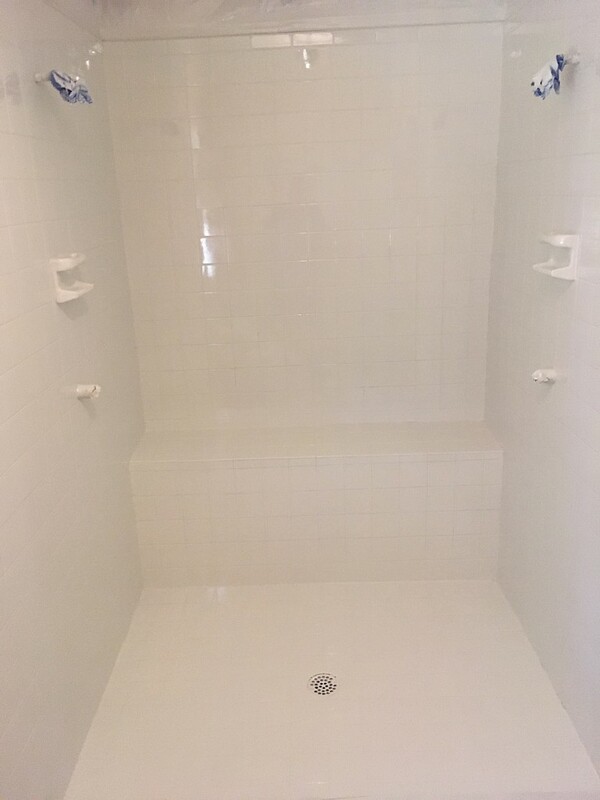 Ceramic tile refinishing is a process that involves specialized equipment, primers, bonding agents, top coats and clear finishes. The differences between painting vs. refinishing tile are durability, surface gloss and how long the new surface will last. 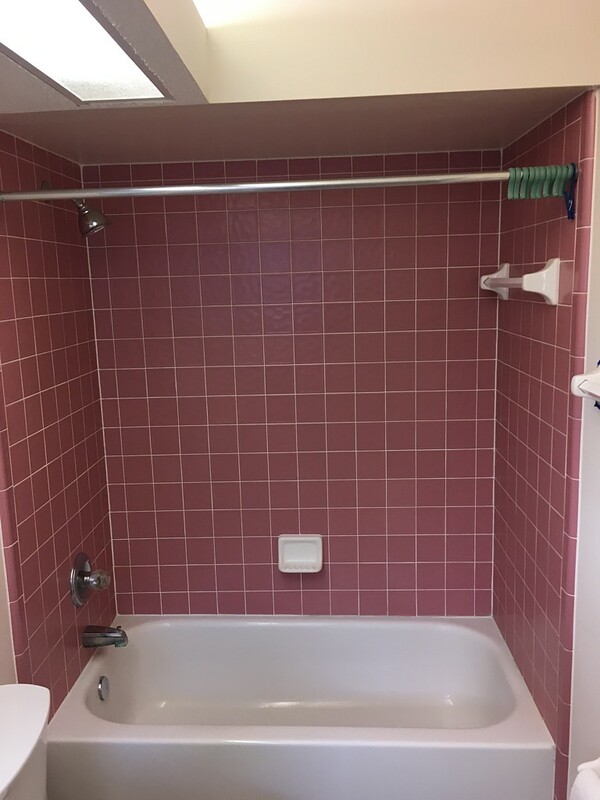 Ceramic tiles that are painted with simple spray enamels or with rolled-on epoxy will not look as good as professionally refinished tile. 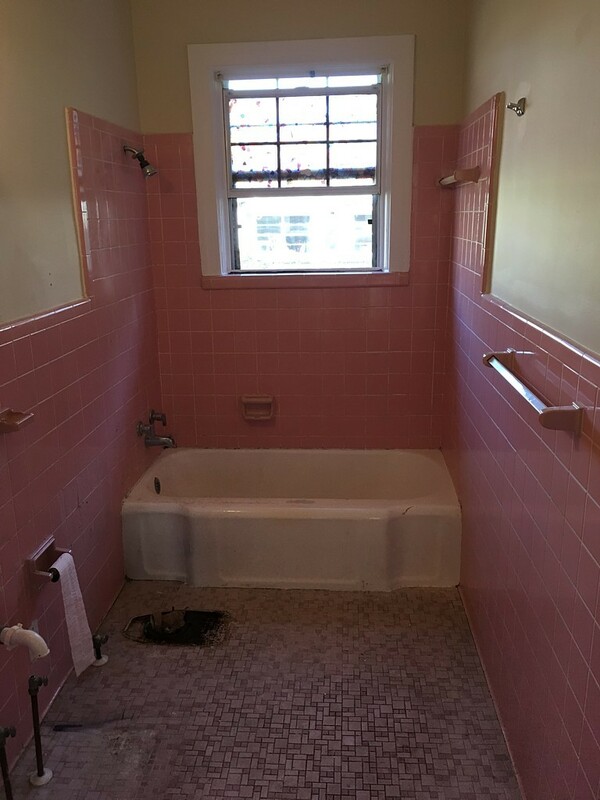 They will also not last as long as professionally refinished tile, nor feel like real tile. Ceramic tile refinishing is the only practical way to reproduce the look of original tile. The term tile reglazing is a misnomer as it is impractical to remove ceramic tile that has been installed and ship it back to the factory for re-firing in a kiln. 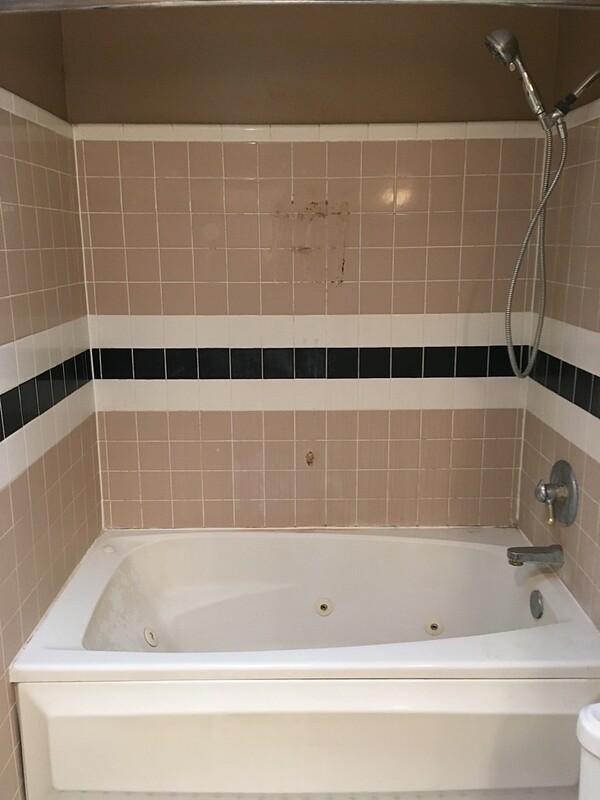 Ceramic tile refinishing can be used on tile countertops, bathtub tile surrounds and tile walls saving you up to 50% over the cost of replacement - without the mess, time and expense of removal. 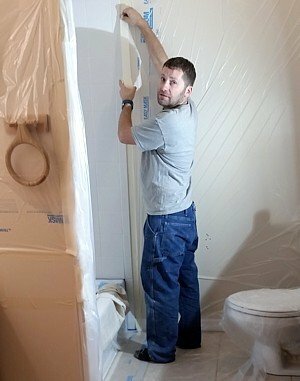 What should you consider before refinishing ceramic tile? 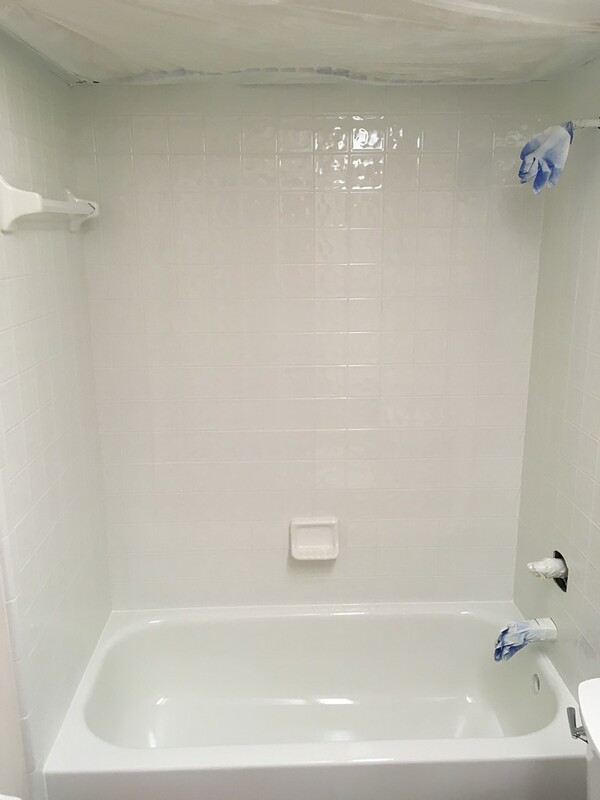 Ceramic tile refinishing can be used on most any tile surface, but you should consider how the surface is going to be used and how much wear and tear it will receive. 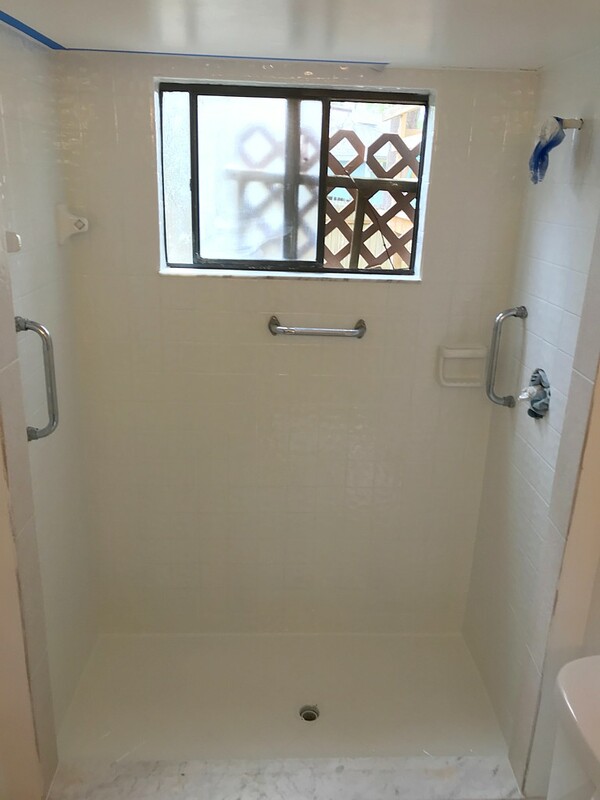 Ceramic tile in a shower or surrounding a bathtub that will be subject to moisture can definitely be refinished. Ceramic tile on kitchen countertops and bathroom vanities are also excellent candidates for refinishing. 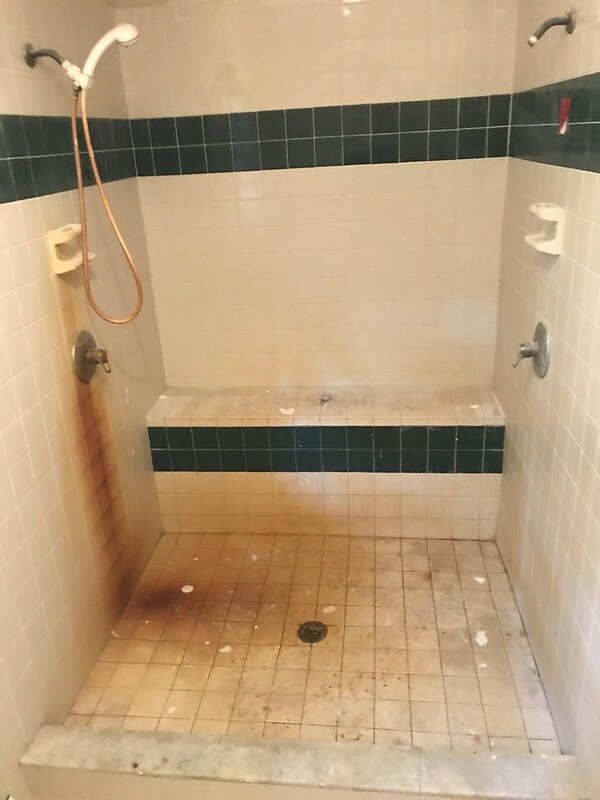 Bathroom floors can be refinished but it is not advisable to refinish tile entryways where abrasive grit can damage the floors. Perfect Refinishing FL is an independent, a small family-owned business, not a franchise. All work is carried out by myself, and we never sub-contract to other companies or individuals. When You call us on the phone, You do not speak to a computer, or have to press any buttons. You will be speaking to myself at all times, never a call-center. I am well trained, certified, insured, and extremely professional. We NEVER cut corners. 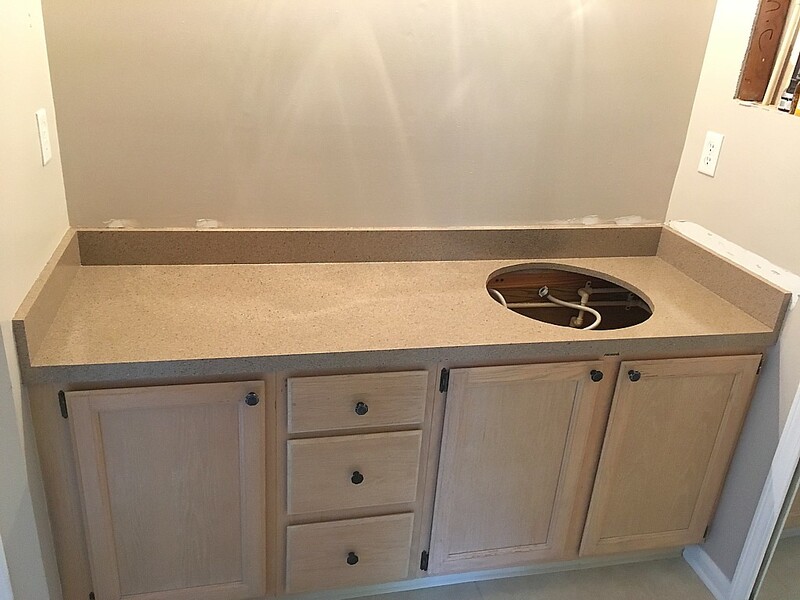 We only use the highest grade materials, professional equipment and refinishing methods. 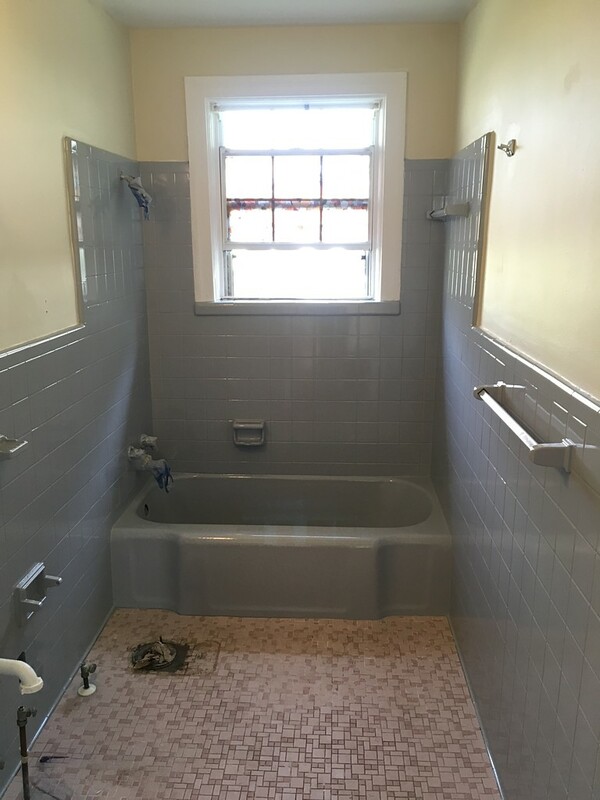 Perfect Refinishing FL is Jacksonville, Florida Bathtub & Tile Refinishing Company. We are serving Greater Jacksonville Area (North-East Florida and South-East Georgia) including, but not limited to Orange Park; Southside; Ponte Vedra, Jacksonville, Neptune, Atlantic Beach; Fernandina Beach; St. Augustine; Starke; Middleburg; San Marco and Avondale/Riverside area; and many more. Please fill out the quote request form. 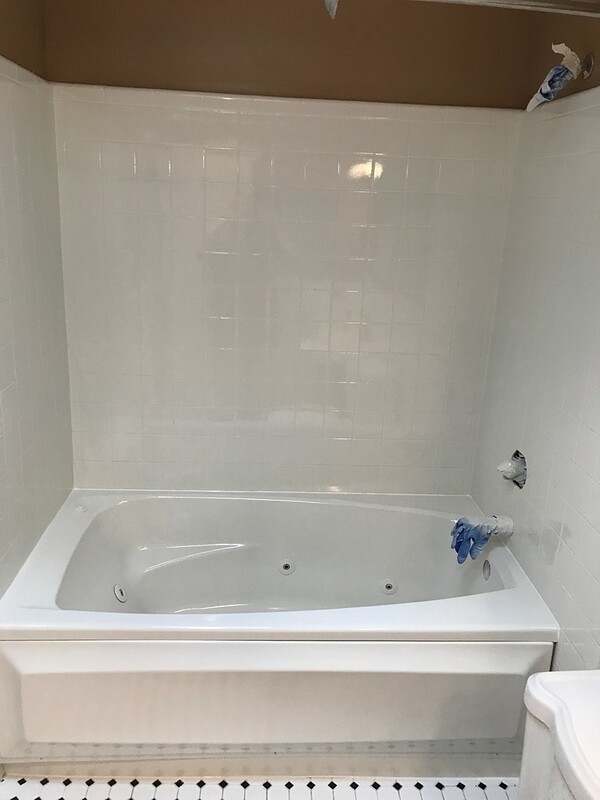 Use the comment field in the form to provide some information about the kind of bathtub, tile or countertop resurfacing project you're looking for. Please provide as much information and/or detail you can. Or call us now for an absolutely FREE Estimate - (904) 234-6935. We will respond to all inquiries within 24 hrs! 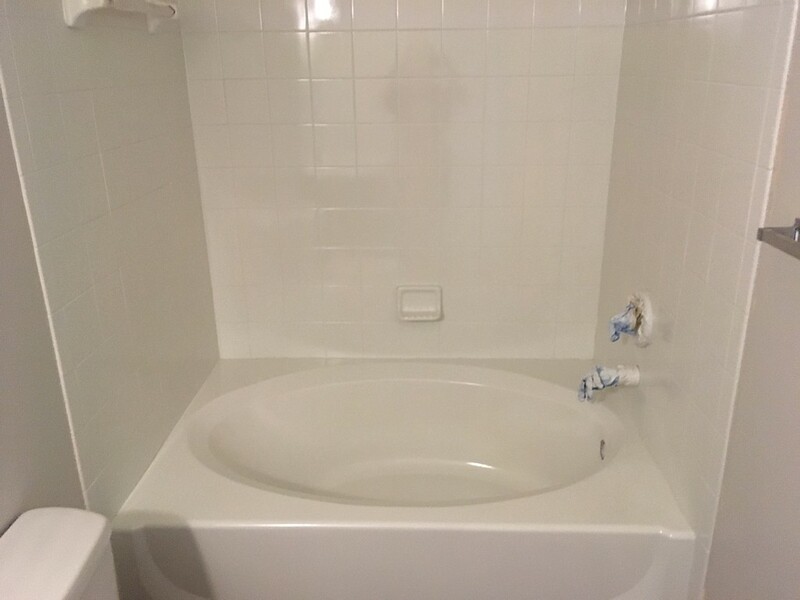 Restored a bathtub that for sure we thought would have to be replaced . It looks great . His work is professional . Very organized in his work and respectful of your home . There was no mess whatsoever.Responded and scheduled very promptly. Cost was reasonable as well. Just referred to someone.